In a large bowl, combine cake mix, oil and egg. Stir in milk just until incorporated. 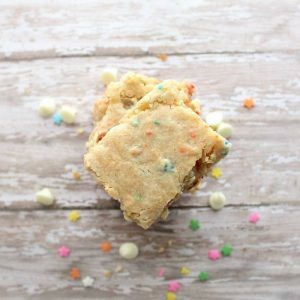 Add white chocolate chips and sprinkles if using. Press mixture onto greased pan (it will be thick). Bake 25-30 minutes, or until the edges start to turn golden.